We ship worldwide, find out more. 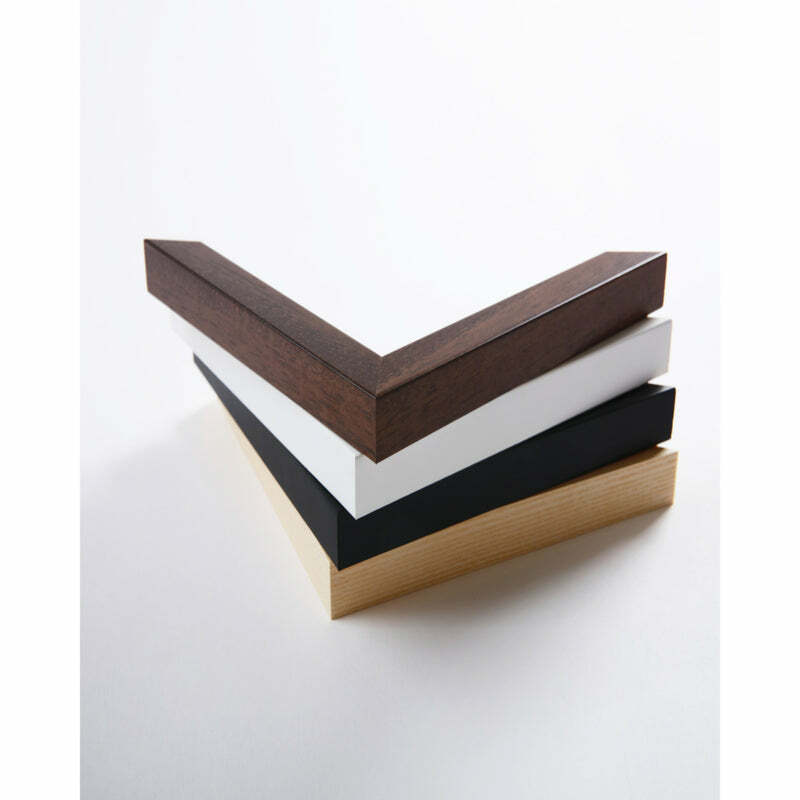 Created from high-quality wood, milled with simple clean lines and presented with a satin finish. 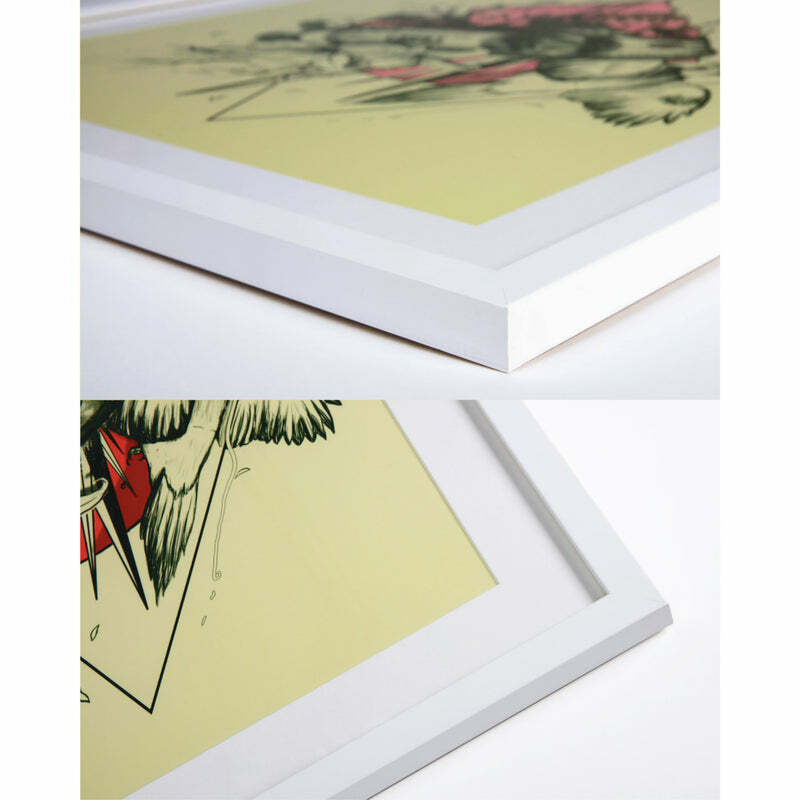 Each framed print is individually handmade by specialist art framers. Finished with an acrylic glaze and delivered fully strung, ready for hanging. We ship worldwide, for more details see our dedicated shipping page. UK shipping is £4.95 for Prints and £6.95 for Frames. Dispatched from the UK and delivered in 5-10 working days. EU Shipping is €5.95 for Prints and €7.95 for Frames. Dispatched from Netherlands or UK and delivered in 5-10 working days. US Shipping is $5 for Prints, $15 for Frames up to 16x20" and $20 for Frames larger than this. Dispatched from the USA in most cases and delivered in 5-10 working days. For everywhere else, please add your products to cart and use the shipping calculator. If your country isn't listed, email us for a custom shipping quote instead. Live with your art for 30 days risk free. If you're unhappy for whatever reason we'll take it back. Museum grade Giclee fine art print on your choice of Smooth Fine Art or Hahnemuhle German Etching papers. We only use archival UV inks, protecting the vibrancy of your prints for over 100 years. Stated sizes are paper sizes NOT image sizes (for prints and frames). For details regarding matt/border widths and total sizes including the frame, please refer to the size guide. Skip the trip to the framer. We custom mount and frame every artwork with museum-grade materials. A bright white, conservation grade, FSC certified, 100% acid free matt/mount, that will not discolour or fade with age. Matt depth is 1.4mm. 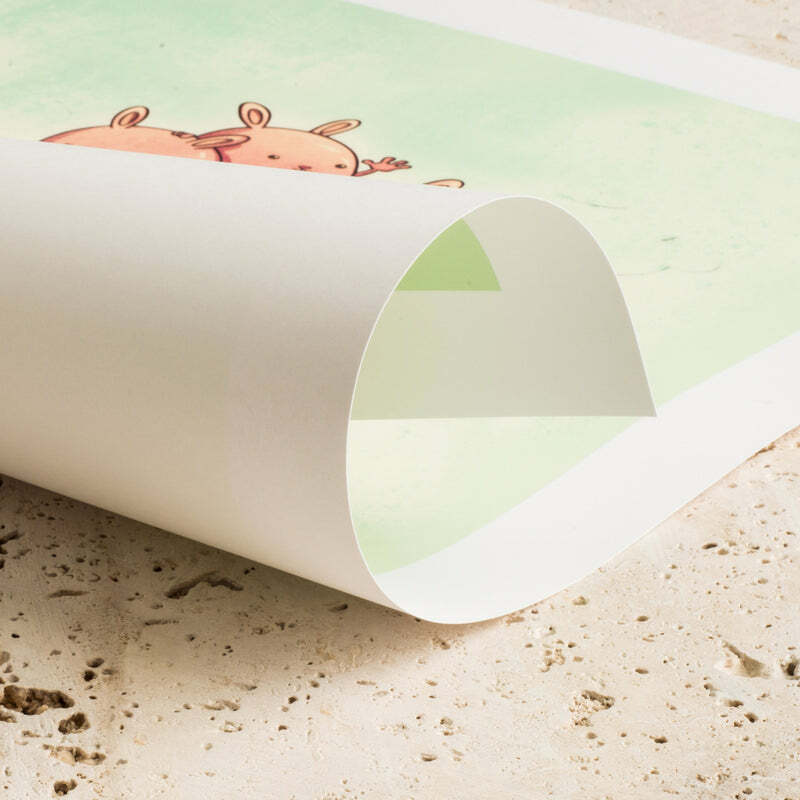 A “Full Bleed” reproduction simply means printing the artwork all the way to the edge. A contemporary display option that works on its own or as part of an eclectic gallery wall. A small, white border frames the artwork for a “faux-matted” look. Details of the white border widths for each size can be found in the size guide. The artwork is matted using a custom cut, 1.4mm bright white, conservation grade, FSC certified, 100% acid free matt/mount, that will not discolour or fade with age. 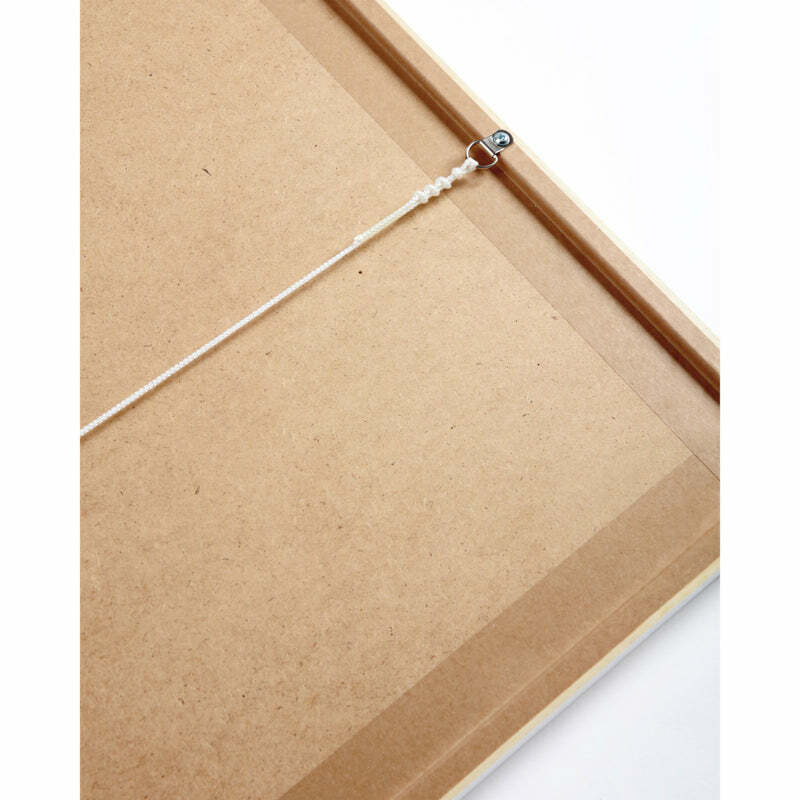 Perfect for framing smaller artworks. 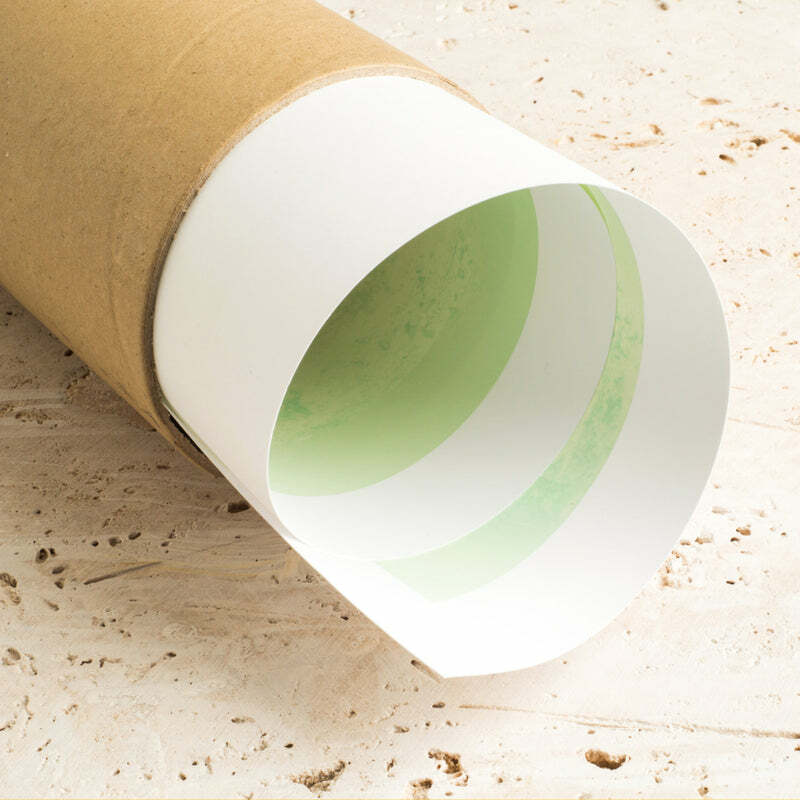 A high-quality, smooth matt fine art paper with a light, fine-grain surface texture. A heavy-duty paper with a velvety matt surface. In contrast to the Smooth Fine Art Paper, it has a warm white hue and a more textured finish. Sign up to find out about new artists, events and special offers. Unsubscribe anytime. Minimum borders/matting (where chosen) of 1" - 2.5" (2.5cm - 6.25cm) will be added around images and will vary depending on the appropriate aspect ratio/paper size. Images are centered and 'padded' for non-standard sized images (no border will be added to Full Bleed prints). Please refer to the product images for an idea of how the art will look with the border/matting for each size.